The booming wine and sand mining industries are driving demand for access equipment around Mildura, in north-west Victoria. 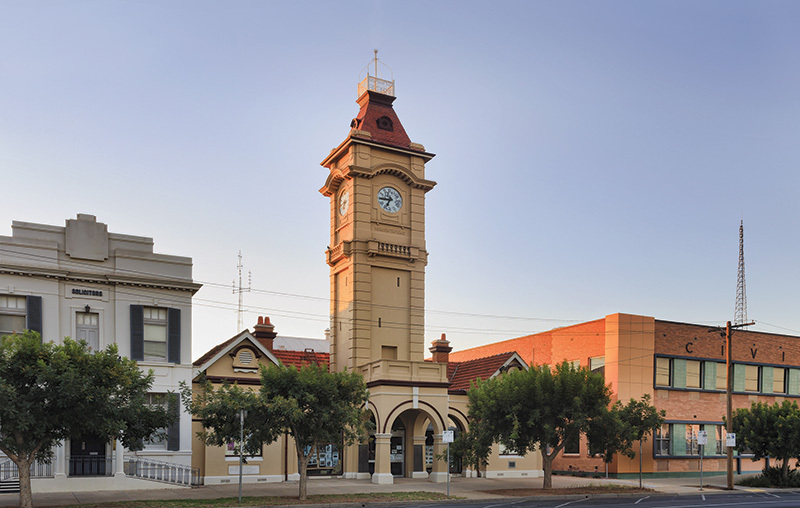 “The Mildura economy is robust with local farming doing well, while our local wineries have started to boom again,” said Paul Morris, director of hire rental and resale firm, Mildura Cranes. The hire rental firm, which Paul co-owns with Peter Saunders, launched around 1999, also has sub-branches Robinvale, about 100 km from Mildura, as well as an outlet in South Australia. The dynamic duo took over Mildura Cranes in 2009. Mildura Cranes customers also include local contractors, and the rental firm supplies access equipment to the region’s mining industry. “Sand mining is our predominant industry along with construction, while shipbuilders love the Genie booms and scissors. Some weeks we don’t have enough of them,” Paul noted. Mildura Crane’s booms and scissors are entirely Genie and include a Genie® GS™-3369 RT, a Genie GS-2669 RT and a Genie GS-4390 RT rough terrain scissor lifts. The regional Victorian based firm has secured diesel and electric Genie Z®-34/22N boom lifts, as well as a Genie S®-65 and S-85 straight booms. Significantly, Peter and Paul have upgraded their entire Genie fleet over the last decade. “We have 14-15 Genie scissors, articulated booms and telescopic booms,” said Paul. The technical and support service provided by Genie is second to none, according to Paul. “This is great if someone goes out on the road and he or she needs a bit of support. Genie will jump in and help. The responsiveness of the technical and support teams is one of the best aspects of their service.